Amber Valley have their own dedicated club support programme. 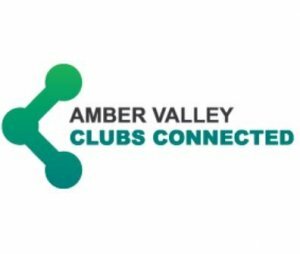 Amber Valley Clubs Connected - supporting clubs to reach their potential and create a connected network across the borough. Amber Valley CVS - provide help, information and support to clubs and groups. Bolsover District Council - offer a number of programmes that help assist clubs to develop and attract new members. Bolsover Community & Voluntary Partners - support clubs and groups on all aspects of running their organisations. Chesterfield Sports Forum - networking and support opportunities for clubs; contact Sarah Evans. The Volunteer Centre Chesterfield & NE Derbyshire - support clubs and groups through developing and deploying volunteers. Volunteer centres can support sports clubs and groups in many ways. Community Action Derby - offer funding and training support for clubs and groups as well as support to recruit and retain volunteers. Derby City Sport Forum - encourages and supports groups, the development of facilities, and participation by all to enjoy sport and lead healthy, actives lives. 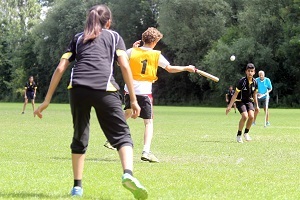 Clubs First - programme delivered by Derbyshire Dales District Council to support sports clubs to reach their potential. Derbyshire Dales CVS - provide help, information and support to clubs and groups. Peaks and Dales Volunteer Centre - support clubs and groups through developing and deploying volunteers. Erewash Borough Council - the Health and Sports Development team offer general support and guidance to sports clubs. Erewash CVS - provide help, information and support to clubs and groups. High Peak CVS - provide help, information and support to clubs and groups. Glossop Bureau - work with community groups to improve the quality of local life. Support is on offer for all types of clubs and groups in Derbyshire. North Derbyshire District Council - the Active and Healthy Lifestyles team offer general support and guidance to sports clubs. South Derbyshire District Council - the Sport and Health team offer general support and guidance to sports clubs. South Derbyshire CVS - provide help, information and support to clubs and groups.